OC Fashion week was a huge success and took place at various venues around Orange County. I had the privilege of attending and was so excited when I saw my friend, model/actress Joell Posey back stage at the “Emerging Designers” and “Avant Garde” shows. 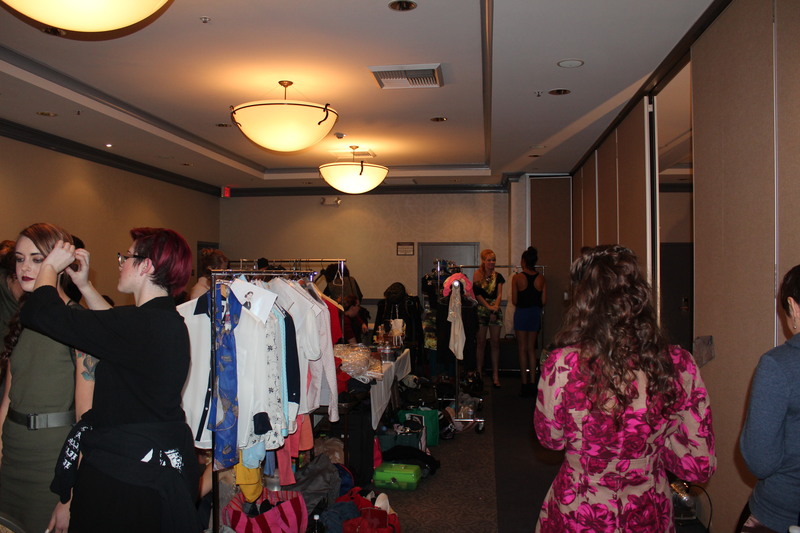 The transformation from back stage to the runway is always so enthralling. The designs were an eclectic mix of retro and Bohemian and included such names as Luis Valenzuela, Dan Richters and Kerrie Kordowski. This year marks the third annual OC Fashion Week and the founder Julia Tudor has great expectations and higher hopes for next year. Watch out London, Paris and New York, Orange County is “HAUTE”!